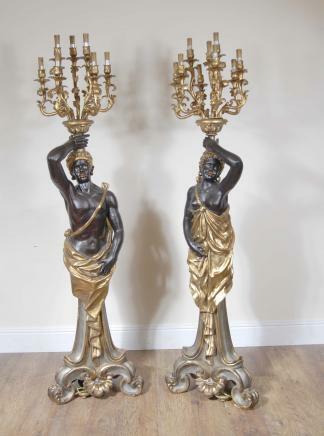 You are viewing an amazing pair of hand carved Italian candelabras in the shape of blackamoor figures. They each stand in at over six feet tall so they are an impressive pair. I hope the photos do them some justice, they are certainly better in the flesh and they would certainly be the talking point of any home collection. 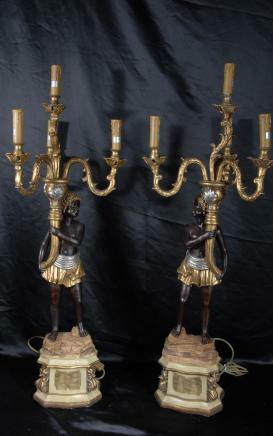 They are a perfect left and right and each candelabra has six candle holders. They stand on lovely pedstals which have also been painted. 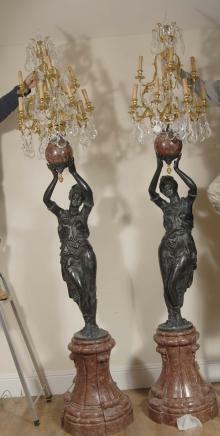 We bought these from a dealer in Rome and each figure is offered in perfect condition ready for home use right away. 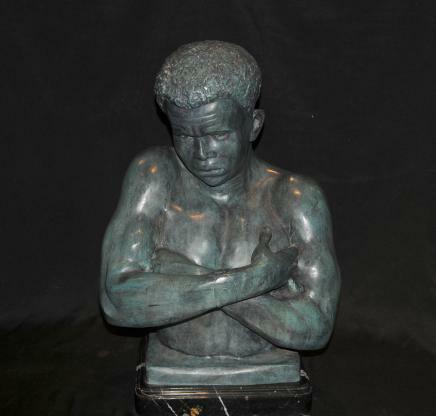 You are viewing a gorgeous Italian bronze bust depicting a Venetian blackamoor. It’s a gorgeous casting and the patina to the bronze has a lovey green finish. 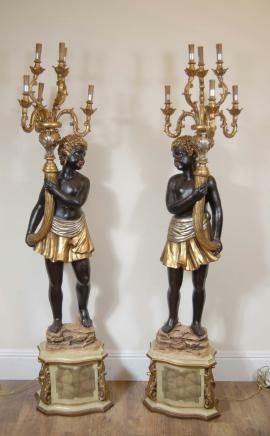 The blackamoor is shown crossing his arms and has an amazing expression on his face. The artist – we do not know who it is as this is unsigned – has really caught the poise and character of the figure with great skill. Check out details like his muscle tone and his expression. It is offered in great condition and would make a stunning addition to any home interiors scheme, offered as it is in perfect condition. We will ship to anywhere in the world. We bought this curio from a dealer on London’s Westbourne Grove.